It seems like nesting, but it is definitely not. Perhaps it is the cloudy, cold days of winter or cabin fever. Maybe the walls are closing in our 1550 square foot home filled with six people. Could be the fact that my mom announced a trip to Magnolia Market in the Fall! Whatever is the driving force I have the itch to makeover, paint, update and refresh our house. I blame Joanna Gaines. Our house isn’t that old, so no major renovations are necessary. It was a foreclosure when we bought it with a horrendous smell so we repainted all of the walls including the ceilings and re-carpeted every room. We have been here now for almost eight years and I feel like it’s time to make it more our own. It’s a cookie cutter house. You can drive down the streets around us and you will find the same exact house multiple times, some even the same exact color. Same sinks, kitchen appliances, flooring and countertops. Although we have made a few changes, recess lighting, ceiling fan in living room and a light above the kitchen sink I want to put our stamp on this place we call home. 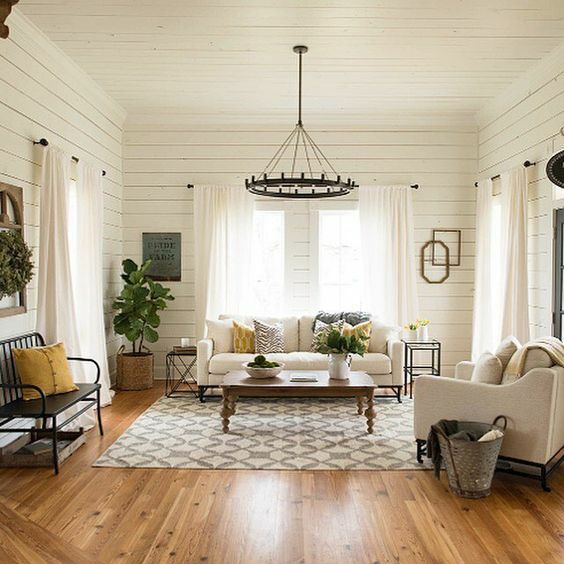 I may even be channeling a little Joanna Gaines and trying to convince Aaron that we should shiplap a couple of our walls…the convincing continues. Check out my Pinterest account and follow along to see some of the inspiration I am eyeing up. Follow along on Bloglovin’ to not miss a beat! Haha! I was in Waco with my mom for her work back during college days and remember thinking, there is nothing in this town!